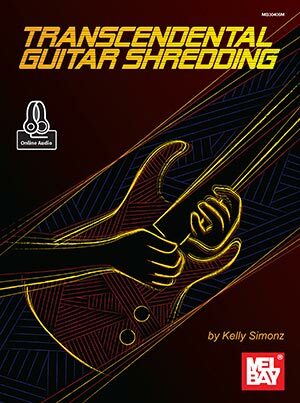 Transcendental Guitar Shredding by Kelly Simonz presents fast technical exercises in classic music styles such as blues, rock and jazz. The book is designed for guitarists of any experience level. These techniques can be applied to your solos and will improve your overall command of the instrument. Warm-up and cool-down exercises provide a safe method for tackling challenging runs. Hard rock and metal exercises cover techniques such as alternate picking and string skipping, sweep and economy picking, legato playing, trills and tapping. Exercises are written in standard notation and tablature and include access to audio online.